I'm sorry to report it, but I'm not having the best reading year in 2018. I'm reading a lot, and enjoying quite a bit of what I'm reading, but when I look at my lists from the year's first half, very little stands out as something that I'll still be thinking of, much less selecting for a best-of list, at the year's end. I'd like to say that this current bunch of books represents a turning point--and there are several books here that I did genuinely love and that I expect to linger in my mind--but for the most part they continue a trend. Some interesting ideas, some good execution, but also a lot of problems. Let's hope that I do better in the year's remaining months. 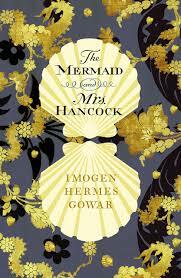 The Mermaid and Mrs. Hancock by Imogen Hermes Gowar - Gowar's much-lauded historical novel is made up of fantastic pieces that don't really come together into much of a whole. Even the novel's three segments feel more like linked novellas than chapters in a single story. In the first, a prosperous but unhappy merchant in 1785, Jonah Hancock, is shocked when the captain of his latest trading venture returns to London having traded his ship for a preserved mermaid. His attempts to make money off this curio launch Hancock into previously unknown social strata, where he crosses paths with Angelica Neal, a successful courtesan whose latest patron has died, leaving her to scramble for a new protector or risk being thrown back into the exploitative racket of London's upscale brothels. In the second segment, Angelica falls into a disastrous, obsessive affair with a penniless and mercurial military officer, while Hancock, who has sold his mermaid for a great sum and retreated back into the rational world of business, finds himself longing for the vivacity and excitement he glimpsed in his meeting with her. In the third and final segment, Hancock and Angelica marry and find themselves remarkably well suited--his stability (and wealth) meshing well with her liveliness and sense of style--but their fledgling happiness is threatened by the presence of another, different sort of mermaid, who seems to have the power to exacerbate their anxieties and dampen their hopes for the future. You can see the lines that Gowar is trying to draw between these three parts of the story, but they don't entirely convince. Why does Hancock agree to not only pay off Angelica's debts, but to marry her, for example? The novel has established him as chafing under the conventional morality of his social set, but not to this extent. And why does Angelica, after the initial shock of being abandoned by her lover and left nearly destitute has worn off, commit herself so completely to a new life as a middle class matron? Surely it would take more work than the novel shows us for her to reinvent herself so completely, when everything we've seen of her until this point has been pleasure-seeking and short-sighted? The throughline of the mermaid, which should tie the novel together, ends up feeling almost extraneous to the plot (it certainly doesn't help that there are two, rather different, sorts of mermaids over the course of the story--if you're going to use a supernatural concept as your central metaphor, it might be wise to narrow it down to a single form). There are, in addition, other subplots that pop up and disappear, such as a story about a young prostitute, the daughter of a slave-owner and his favorite, who runs away from Angelica's old brothel and ends up servicing johns in alleys, but who doesn't get anything like a conclusive ending to her story. Or a horrific scene near the end of the novel in which Angelica's old madam is beaten to death by an angry mob. It's hard to tell what this is all meant to come together to form. What makes The Mermaid and Mrs. Hancock worth reading despite this fractured quality is, however, its pieces. Hancock and Angelica are great creations, complex and human and so perfectly well-suited, despite moving in such different worlds, that one can't help but root for them to make a go of it. They are surrounded by similarly rich creations--Hancock's niece Sukie, who is excited by the possibility of taking on adult responsibilities as his fortunes in the world rise, but also desperately longs for him (and later also Angelica) to treat her as parents and protect her from the world; Mrs. Chappell, Angelica's old Madam, whose treatment of her wards is equal parts abusive and protective, and whose advice is both self-serving and wise; Simeon, a servant at Mrs. Chappel's establishment and a former slave, who carefully parses the razor-thin nuances of respectability and opportunity that his race and position afford him. The overall impression is the one formed by the best sort of historical novel, of people who are living not through history but through a vibrant, turbulent now, thoughtfully examining their world and their choices instead of just going along with convention because "that's how it was back then". It's a shame that the story Gowar has constructed around these characters and moments doesn't quite hold up, but the core of the novel is strong enough to make me very interested in what she does next. 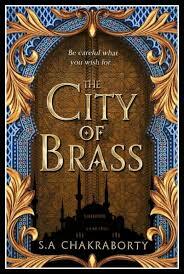 The City of Brass by S.A. Chakraborty - Despite having a lot to recommend it, Chakraborty's debut novel suffers from a problem that I've been seeing a in a lot of new SFF (and particularly trilogy-starters like this one). It has a genuinely fascinating setting, and a story that is only so-so. The city of brass of the title is Daevabad, one of the chief cities of djinn-kind, founded after the demons and genies of Muslim and Arabian folklore were banished by King Solomon and forbidden from interfering in human affairs. For most of its existence, Daevabad was ruled by the Daevas, a powerful sect whose isolationist stance extended to periodic genocides against other tribes who practiced intermarriage with humans. Fourteen hundred years ago, another tribe, the Geziri, motivated at least in part by these atrocities but also by their adoption of the Muslim faith, conquered Daevabad and reduced the Daevas, and their ruling family, the Nahids, to a powerless aristocracy. In the present day (or rather, the early 19th century, as evidenced by an early reference to Napoleon's conquest of Cairo), Daevabad is is rife with ethnic, religious, and cultural strife. The Daevas complain of persecution from the Geziri leadership but refuse to acknowledge their own history of atrocity, and dream of resurrecting their old rule with its old prejudices intact. This includes Daevabad's substantial part-human population, known as shafits, who experience prejudice but whose higher fertility and greater numbers can also make them sporadically dangerous to the Daeva elites. The Geziri leadership pits the two groups against each other in the hopes of maintaining Daevabad's delicate balance, while also keeping a wary eye on Muslim fanatics within its own ranks who might be eager to set the city ablaze. It's an incredibly rich setting, not least for how the novel steadfastly refuses to give us someone to uncomplicatedly root for. The Daevas' prejudice against shafits is uncompromising, and extends to kidnapping and enslaving shafit children. But when we meet an underground shafit benevolence association, they turn out to be funneling at least some of the money donated to them to the purchase of weapons. And the Geziri's approach to keeping order is brutal and amoral--everything from staging riots to mass executions to concealing their own history of atrocity--even as the obvious powder keg of the city's ethnic relations suggests that it may be the lesser of all evils. It's perhaps inevitable that any character interjected between us and this setting will be less interesting than the city itself, but Chakraborty compounds this effect by making her two heroes ignorant and naive. Nahri is a street hustler in Cairo who has spent her life concealing her magical powers. When she accidentally calls down a genie named Dara, he reveals that she is the last scion of the Nahid dynasty, long thought extinct, and returns her to Daevabad to become a figurehead for both the Geziri establishment and the Daeva restoration movement. Ali is the younger son of the Geziri king, pious, well-meaning, and easily-influenced. Initially moved by the shafit plight, he's dismayed by their weapon-hoarding (unwittingly funded by his contributions), and spends the novel trying to cover his tracks, not realizing that he is actually a pawn in his father's larger political game. There are obvious worldbuilding advantages to making two such naifs our point of view on Daevabad's complex political tapestry, but this also means that Nahri and Ali's own stories are rarely as interesting as what's happening in their backgrounds. It certainly doesn't help that the novel's pacing is so odd. It takes Nahri nearly half the book to arrive in Daevabad, and once she does she is quickly ensconced in the palace, only fleetingly allowed to engage with the city's greater society. Ali, meanwhile, spends the novel reacting, since his primary motivation is to hide an act of treachery that took place before the story even started. An interesting dynamic eventually develops between the two of them and Dara, who makes little effort to hide his resentment of the Geziri or apologize for his own history as the Daevas' most genocidal general. This misshapen triangle--friendship between Nahri and Ali; simmering attraction between Nahri and Dara; barely-suppressed hostility between Dara and Ali--pairs well with the novel's political worldbuilding, as Nahri and Ali become more aware of the events that Dara and the other Daeva are setting into motion. But it takes most of the novel to get us to this point, and when we do, Chakraborty explodes the triangle seemingly out of nowhere, introducing a sudden crisis whose obvious goal is to reshuffle the players and set up the next chapter in the story. The City of Brass ends by promising a significant leveling-up, with each of its characters in a new and very precarious situation. But the resulting impression is that the (rather long) novel we've just finished reading was little more than setup for the real story, and I admit to finding this approach tiring. As much as I enjoyed Chakraborty's worldbuilding, I'm not sure her story works well enough to tempt me into another foray into this world. 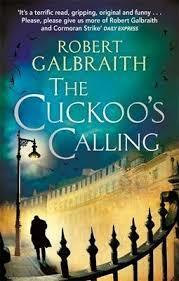 The Cuckoo's Calling by Robert Galbraith - There's been a lot of enthusiasm and praise for Galbraith's--who is, of course, the pseudonym of J.K. Rowling--Cormoran Strike series in the years since this first volume appeared. And yet somehow, in all that hubbub, I don't remember anyone pointing out what seemed obvious to me within The Cuckoo's Calling's first few chapters--that with these books, Rowling is trying to write a 21st century equivalent to the mystery novels of Dorothy L. Sayers. You feel this in particular in the strong descriptive voice that characterizes the book, sometimes a tight third person on a particular character's point of view, but often just a strongly-characterized narrative voice, with an arch, knowing tone, and a keen attention to details of dress, demeanor, and class. This is an old-fashioned choice, but it suits the kind of novel that Rowling is writing, a Fair Play mystery in which the key to the solution is working out everyone's location during a few crucial minutes, and figuring out how quickly they could have plausibly moved from one point to another. Similarly old-fashioned is the novel's focus on witness testimony--it is, essentially, made up of set-pieces in which the detective interviews each witness or connected person, carefully weeding through their assumptions, dissimulations, and agendas. There is even, in the novel's opening chapter, a potentially-lethal ironwork staircase, reminiscent of the one made famous in Sayers's Murder Must Advertise, down which Strike's plucky, Girl-Friday-ish new assistant, Robin Ellacott, nearly tumbles to her death. The one crucial difference between Rowling and Sayers is their central detective. Strike bears some superficial similarities to Peter Wimsey--he's a traumatized war veteran, albeit with a physical injury, an amputated leg, rather than a psychological one; he comes from a famous family whose strong personalities will no doubt feature in future books; and he's smarter, and more educated, than he lets on. But where Wimsey was effete and happily ensconced in his upper-class trappings, Strike is lumbering and determinedly down to earth. Even his family connections are of a very different sort to Wimsey's--he is the illegitimate son of a dissipated but very rich rock star, who has never acknowledged him or done much for him, even though Wikipedia has made the connection between them available to anyone who wants to know. The internet, in fact, is one of the interesting twists that Rowling offers to Sayers's template, overlaying her stratified, insular worlds on a setting where anyone can know anything about anyone else. It's not surprising that the first Strike mystery revolves around a dead model, whose face and personal relationships were laid bare for the whole world to see, in print and in the digital realm. That Rowling mingles this setting with the issue of race--another point on which Sayers was mostly silent--might cause some people familiar with her well-meaning but often lead-footed approach to social issues, in her books and in her own statements, to cringe in nervous anticipation. But for the most part The Cuckoo's Calling handles this issue with intelligence, if perhaps not the depth it deserves. Both the victim and many of the people around her--her favorite fashion designer, a rapper who was smitten with her--perform a certain high-class version of blackness for a mostly-white audience, which makes them rich but leaves them scrambling for connection and a sense of identity. In the end, this is perhaps too heavy a topic for the tone that Rowling is aiming for, which prioritizes Strike's own emotional problems over the turmoil and injustice that his investigation unveils--again, as in Sayers, the point here is the detective, not anything he uncovers. But Strike himself, and the relationship he builds with Robin, are very winning, and enough to make me look forward to future entries in the series. 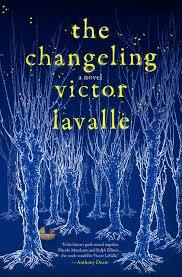 The Changeling by Victor LaValle - LaValle's latest novel starts out from a familiar premise--young couple happily welcomes their first child, and then things go seriously wrong--which he makes his own almost from the first page. Starting from the family history of protagonist Apollo Kagwa--his Ugandan immigrant mother, his absent white father, his childhood fascination with books which leads to a career as a rare book dealer--and continuing with his storybook romance with strong-willed librarian Emma Valentine, The Changeling feels like one part fairy tale, one part breezy and well-observed contemporary slice of life, with a strong sense of its New York setting, and of the lives of young black people living in it. Then a shocking act of violence tears the young family apart, leaving Apollo bereft and full of rage. LaValle does a great job of observing the tiny details that make Apollo's grief mundane and therefore all the more crushing, as well as the mingled indifference and prurience that greets him in public. Scenes in which he's awkwardly rejected by the ad-hoc fathers' group he'd once been a proud member of, or lingers in sad silence in a survivors' support group, feel so vivid and so wrenching in their own right that it's almost possible to miss the novel's slow but unstoppable slide into weirdness. Eventually, however, it becomes clear that the death of Apollo's son, and the disappearance of his wife, were not just an ordinary sort of insanity, but that there is something supernatural at work. The fact that Apollo--and the reader along with him--takes so long to realize the weirdness of what's happening around him is part of the book's point, and very well-realized by LaValle. Even before the novel's rupture point, it keeps hinting to us that something is wrong, while locking us in the point of view of Apollo, who can't see it. Later on, he repeatedly comes to realize that there are aspects of reality he hasn't acknowledged, and that these are almost always tied to the lives of women--his mother's struggles as a single working woman with a child, and the reason for his father's disappearance; the self-protective lies told to him by Emma's friends and family; a community of escaped battered women living on an abandoned island in the East River, whose leader may or may not be an actual witch; most of all, Emma's growing conviction that there is something wrong with her child, and that she must go to extremes to prove it even if it means leaving Apollo behind. It's uncommon to see novels about men telling stories like this, about male characters realizing that they have failed to recognize the humanity of women and the validity of their experiences, and learning to do better. LaValle makes us care for Apollo while also revealing his errors and flaws, and giving him the courage and determination to make amends to the women he's wronged and thus regain his family. It's not surprising that the novel's villain turns out to be a man who rejects the humanity of women, but it's encouraging to find such a villain in a work that believes so strongly in the responsibility of good men to stand up to such people, and teach their own sons to be better. Unlike some of LaValle's previous work, like the novella The Ballad of Black Tom, race doesn't sit front and center in The Changeling. But it's always present, and LaValle finds fascinating ways to incorporate it into the story, chiefly in stressing the ways that black characters have to alter their behavior when they become the protagonist of the sort of story usually reserved for white heroes. When Apollo and his friend Patrice start behaving like regular horror story protagonists, breaking rules and violating norms in order to get to the heart of the wrongness that has infected their lives, they have to bear in mind how their behavior looks to nosy white neighbors or passing policemen--as Patrice says, black people can be heroes, but they have to be smart in how they go about it. This constant peripheral awareness of race reminded me a little of some of Helen Oyeyemi's fairy tale-inspired novels, like Boy, Snow, Bird, in which race irrevocably changes a familiar story's meaning in a way that makes us question the underpinning of many of the stories we grew up on. Through that choice and others, The Changeling makes a fair bid to become a modern bit of folklore, a fairy tale of New York that isn't reserved merely to one segment of its population. 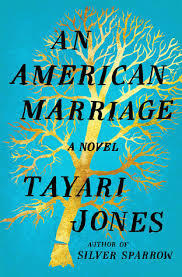 An American Marriage by Tayari Jones - A very different take on modern African-American couplehood is offered in Jones's latest novel, a stunning, heart-rending melodrama in which love is set in opposition to an abusive, uncaring system. Celestial and Roy are the face of the new, rising black South. He is an ambitious young executive, the fulfillment of his hard-working, small-town parents' dreams. She is an aspiring artist, the daughter of an upper-middle-class couple, and a product of the Atlanta black community's careful shepherding of black excellence. That carefully-curated life is torn down, however, when Roy is accused of a crime he didn't commit, and sent to prison for twelve years. The novel's long opening segment, in which, after a brief introduction, we observe the disintegration of Celestial and Roy's marriage through the letters they send each other during his incarceration, is a devastating tour de force. It quickly becomes clear that as much as Roy's imprisonment has placed an insupportable burden on his and Celestial's marriage, there were also preexisting flaws in it that their terrible situation is exacerbating. Roy's inferiority complex, Celestial's selfishness, his wandering eye, her unwillingness to sublimate her desires in order to play the supportive wife, all are exposed in these letters, whose flowing, lyrical style makes me wish for an adaptation of the book so that I can hear them read out loud. Unanswerable questions are raised and drive wedges between the couple. Was Celestial being selfish or showing a lack of faith when she terminated the pregnancy she was carrying when Roy was arrested, or was she responding to his unspoken wishes? When she wins a major award for a piece depicting an incarcerated black man and fails to mention Roy, is she hiding a shameful truth that might blight her career, or protecting a painful personal grief from public scrutiny? This segment of the novel might have been a stunning novella in its own right, but Jones turns the screw even further when Roy's conviction is suddenly overturned and he's released after five years. Celestial, by this point, is Roy's wife in name only, and has begun a romance with her childhood friend Andre, who has even proposed marriage. The three characters end up struggling with guilt, desire, heartbreak, and rage, as they try to behave decently while also working to secure their own happiness. At the heart of An American Marriage is the conflict between the personal and the systemic. Celestial and Roy's marriage was tempestuous and perhaps doomed to failure, but it was real. What has torn it apart is an unconscionable, racist overreach of the state's power, one that--as Andre is frequently reminded--could have happened to any one of the novel's characters. Does Celestial owe it to Roy to welcome him back into her home, not simply because she's his wife but because he's a black man brutalized by the state? Is her own relative good fortune--going back to her parents' wealth--something she needs to expiate, or is she, as Roy's cellmate insists, just as precariously positioned as any other black person in America? Does Roy get to demand that she love him again, simply because what was done to him was unjust, and the damage it caused to his trajectory in life irrecoverable? Jones wisely makes all of her characters--not just the core trio but Celestial and Roy's parents and their friends--sympathetic and thoughtful, even in their most selfish moments, as they ponder these questions and try to come up with a solution that is just and loving. An American Marriage is not a traditional love triangle, in the sense that you know, fairly early on, who you want Celestial to choose and how you want all the characters to end up. What it is instead is a powerful story about love in all its forms, and how it struggles to stand up to the predations of an uncaring system. The real question at the novel's core is whether Celestial, Roy, and Andre can love one another enough to make up for the world's unkindness, its determination to make them unkind. The answer Jones gives to this question is full of hope as well as sadness. The Heart of the Circle by Keren Landsman - I wouldn't normally write about this book, published in Hebrew earlier this year, since most of my English-speaking readers can't enjoy it. But since Landsman recently announced the acquisition of The Heart of the Circle by Angry Robot books, I'm merely anticipating its English-language availability. Set in contemporary Tel Aviv in a world where certain individuals are born with magical powers, The Heart of the Circle is narrated by Geva, a young gay man with the power to sense, influence, and drain the emotions of other people. Geva is introduced to us reeling from shock, and struggling to comfort his friends, in the immediate aftermath of a murder at a wizards'-rights rally, which sets the tone for Landsman's worldbuilding throughout the novel. Though nominally free, Geva and his friends have made an uneasy peace with an array of limitations and curtailments--from having to use marked-off areas on public transport, to being exploited by landlords who know their housing options are limited, to experiencing casual verbal and physical violence at work or on the street. But their tolerance is stretched to the breaking point by this more overt violence. A messianic anti-wizard group calling themselves the Sons of Shimon have recruited magical users into their cult, and begin using them to disrupt wizard hangouts and target leaders within the community. Geva and his social circle--his best friend Tamar, a clairvoyant; his ex-boyfriend Reshef, who controls fire and heat; his "normal" brother Doron; and his new love interest, the fellow empath Omer--find themselves constantly on the front lines of this escalation into violence, eventually realizing that the Sons of Shimon have identified a path to their desired anti-wizard future that runs through their group, and specifically through Geva. There are some obvious pitfalls to the premise of analogyzing social oppression through characters who have super-human and often dangerous powers--in particular, Israeli readers will recognize Landsman's lightly-fictionalized versions of two major homophobic attacks, the 2009 shooting at an LGBT youth club, which left two dead, and a knife attack at the Jerusalem pride march in 2015, in which a teenager lost her life. Landsman can't exactly solve these problems, but she circumvents a lot of them through the specificity of her worldbuilding, and by focusing more on the emotions of her young, angry characters than on the broader question of "equal rights: y/n". Within Geva's social group there are people drawn to the Sons of Shimon, who promise total freedom for magical users so long as they sublimate themselves to the new world order; others who believe in total non-violence and argue that only by trying to understand fanatics like the Sons of Shimon and their followers can a peaceful future be achieved; older activists whose respectability politics seem geared more at securing their own safety and comfort than achieving gains for their community; teenagers in the youth group Geva instructs who take illegal drugs to suppress their powers so that they can fit in; and a dynamic young police officer, Shiran, who recruits Geva and his friends into her plans to unmask the Sons of Shimon. Geva's burgeoning romance with Omer is also deeply inflected by their different experiences of growing up magical in Israel and the US, and by their own hang-ups about opening up emotionally--which means something very different to people with their powers. In background details and tossed-off remarks, Landsman makes it clear that the entire history of her world has been affected by the presence of wizards (which, among other things, has resulted in a different geopolitical present, in which the Soviet Union still exists and the US is a "Confederation"). That, and the primacy of the characters' emotions, both anger over their situation and their desire to continue living normal lives, help to make the world of the novel feels vivid and lived-in, far more than a metaphor. One place where I felt that Landsman's worldbuilding fell short--and which I think will strike non-Israeli readers much more strongly--is the near-total absence of any reference to the Israeli-Palestinian conflict. I'm sympathetic to the argument, often made by Israeli artists and critics, that not every work by an Israeli has to be about "the situation". But especially in its closing chapters, The Heart of the Circle becomes a story about building a better, freer, more egalitarian world, and the absence of any acknowledgment of the ongoing occupation--or any details on how it has been affected by the existence of magical powers--feels like a gaping hole. The weeks before I started reading The Heart of the Circle served up multiple demonstrations of how the internal religious, cultural, and ethnic disputes within Israeli society are inextricably bound with the Palestinian occupation, and how resolving one is impossible without addressing the other. The fact that the characters in the novel seem to think otherwise, and aren't at least called out on that belief, felt jarring. Despite this flaw, there's a lot that foreign readers will find fascinating in The Heart of the Circle, from its pitch-perfect portrait of the lives of young people in Tel Aviv, to the way that everyone's life is affected by what they did in the army. 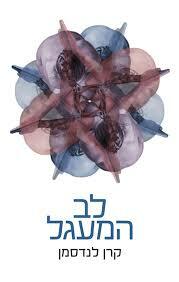 In its insistence that this kind of urban fantasy can take place in a country like Israel, The Heart of the Circle is an important step forward for the Israeli genre scene, and in its portrait of young people struggling with both their outsized emotions and an unjust situation, it delivers a powerful, engrossing story. 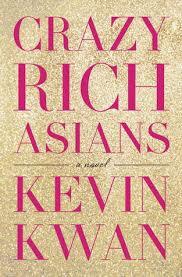 Crazy Rich Asians by Kevin Kwan - I admit, when I first heard about Kwan's novel a few years ago, I was put off by its title. I got the sense that this was an airless social satire, of the kind that justifies its characters' awfulness by keeping you in constant ironic distance from them. As the trailer for the forthcoming movie adaptation reveals, however, Crazy Rich Asians is something completely different, a cross-class, cross-cultural romantic comedy about a Chinese-American woman, Rachel, whose boyfriend of two years, Nicholas, invites her to visit his home and family in Singapore, only to reveal that he's the son of one of the region's wealthiest, most snobbish family. Crazy Rich Asians thus becomes a whirlwind tour of Singapore's old money families and their jet-setting younger generations--people who wouldn't settle for anything less than next year's designer clothes, and who collect real-estate like shot glasses. Kwan, who grew up in Singapore, effortlessly constructs an entire social set, and confidently guides us through its intermarriages, feuds, prejudices, and the centerpieces of its social calendar. In this world, Rachel is viewed as an interloper and a gold-digger, and Nicholas's mother, aunts, grandmother, not to mention the women who wanted him for themselves, quickly set out to undermine their relationship by any means necessary. Crazy Rich Asians is a lot of fun when it's introducing us to Singapore and its moneyed elites, but as a romantic comedy it's less satisfying, with Kwan making some obvious mistakes in how he constructs his plot and characters. Most egregiously, he fails to make either Rachel or Nicholas particularly interesting, nor their romance very compelling. Rachel is far too much of a straight woman, observing and reacting to both the world she's introduced to in Singapore and the hostility she meets there, but rarely asserting herself or expressing a point of view--we're told, for example, that she's a professor of economics, but if she has any thoughts about the explosion of development in land-poor Singapore, or the sustainability of its rapidly growing super-rich class, she keeps them to herself. More importantly, it takes her an unconscionably long time to realize that Nicholas's family opposes their relationship, and she never really does anything to stake her claim on him, which feels untenable in a romantic heroine. Nicholas, meanwhile, refuses to either own up to Rachel about his family's wealth, or acknowledge that she would be unacceptable to them as his partner. This makes him seem both stupid and insensitive--in one scene, Rachel is informed that in order not to completely embarrass herself in the society wedding that is the pretext for her journey to Singapore, she needs an entire designer wardrobe; but of course Nicholas should have known this, and offered to buy it for her. The novel makes it clear that Nicholas's denial is rooted in psychological hangups, not lack of concern, but nevertheless keeps it up for too long--by the time Nicholas realizes how much his behavior has hurt Rachel, there's really no time for him to apologize or do better, and their inevitable reconciliation thus feels unearned. Perhaps most importantly, Kwan's control of his tone wobbles constantly, veering from a meaningful study of the social set he's invented, to little more than the constant name-dropping of designer brands, luxury cars, and the famous architects who decorated each of the characters' fabulous apartments. To be clear, it's obvious from its early pages that Crazy Rich Asians is not in the business of criticizing its ultra-rich characters or their lifestyle, nor is it trying to question an economic system that allows the accumulation of such obscene wealth. (And in fairness, there is something quietly revolutionary about a novel geared at a Western audience that acts as if the center of the world is not in the West, that treats the US like a backwater, and Europe as unimportant except for Paris, where you go to buy designer clothes.) Even the criticism of the snobbery directed towards Rachel is downplayed, for example when she's contrasted with another inappropriate girlfriend in Nicholas's family, a trashy soap opera star with no class or manners, against whom Rachel is clearly the "good" non-rich person. All of this is the price of admission, and it doesn't seem fair to ding Kwan for it. But there are whole passages of Crazy Rich Asians that read as if their purpose is less to tell a story than to construct elaborate fantasies of the lifestyles of the rich and famous, and this quickly becomes tedious, and then a little uncomfortable. It's also a shame, because in its best moments Crazy Rich Asians actually has a lot to say about the subtle currents that control its community--like the fact that Nick's old money family is unknown to a lot of Singapore's newer, more ostentatious super-rich because they make a point of downplaying their wealth, to the chagrin of some of the younger cousins; or how Nick's mother is still seen as an outsider by his grandmother, who holds the purse-strings, and how she's spent his life carefully grooming him to inherit the family fortune, which is now endangered by his entanglement with Rachel. In the end, Crazy Rich Asians feels more like a scaffold for a good story than one in its own right. Already in the movie trailer, I can spot some changes to the plot that feel eminently reasonable, and I look forward to seeing what is made of what are after all a winning premise and setting. Something must be changing: I've read two of your selections (Rowling and Kwan). There's almost never any overlap between our two reading lists. I enjoyed what you had to say about them. So far I like all the Cormoran Strike books -- I think Rowling has found a way to handle her hatred of most muggles in these books. I very much agree with what you say about The Cuckoo's Crossing, and furthermore I always thought the strong classic "puzzle" mystery element accounted for more of the Harry Potter series' popularity than has generally been noted. Beneath the wizarding world trappings, the books have an almost Christie-an sense of plotting, keeping track of what the reader knows or thinks they know and how, strategies for deceiving the reader "fairly", cleverness at slipping in crucial information without you realizing its significance (Rowling frequently "uses" the wizarding-world paraphernalia for this purpose), etc. "Harry Potter and the Goblet of Fire" in particular is pretty terrific in this regard. To me this is her foremost skill as a writer. Naturally when I heard she had written an actual mystery I took it as confirmation of my view! Very much agreed about the Potter books as mysteries. I don't think it's a coincidence that the two that buck the mystery structure - Order of the Phoenix and Deathly Hallows - are the ones that readers tend to have the most trouble with.